How Long Can Asparagus Crowns Be Stored? Do Asparagus Plants Need to Be Covered From Cold Weather? How Many Asparagus Can Be Planted Per Square Foot? 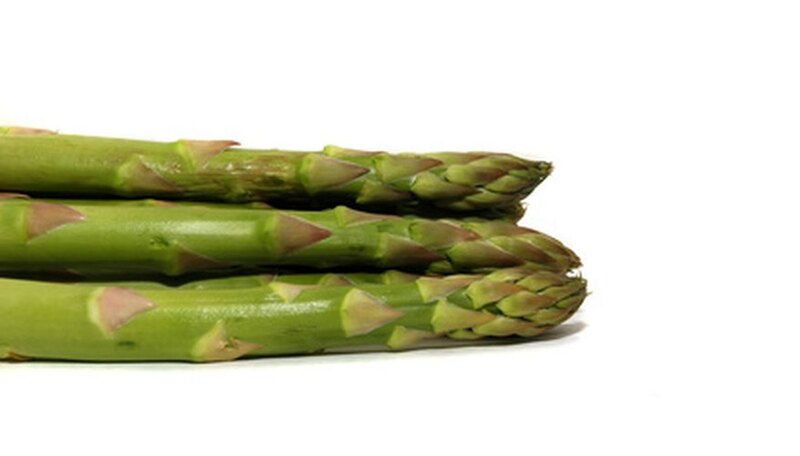 How Many Asparagus Grow on a Single Plant? Many gardening writers will tell you that the best time to plant asparagus is in the spring. Most of them live in the Midwest or the North. Asparagus planted in the spring in a Southern garden will generally not survive the hot summer. Autumn is the only time of year to plant asparagus in the South. Clean up the planting site. Remove all weeds, rocks, old roots and other debris. Add a 3-inch layer of compost to the planting bed and, using the gardening fork, mix it in to a depth of 12 inches. Add two pounds of 10-20-10 fertilizer and mix it in with the amended soil. According to Master Gardeners at Iowa State University's Extension office, you will need 2 pounds for every 20-foot row of asparagus. Dig a trench that is 4 inches wide and 12 inches deep. Place the asparagus crowns in the trench, spacing them 2 feet apart. Cover with 2 inches of soil. Add another 2 inches of soil as soon as the asparagus plant sprouts to the surface. Repeat this every time the asparagus appears above the soil until the trench is filled in. 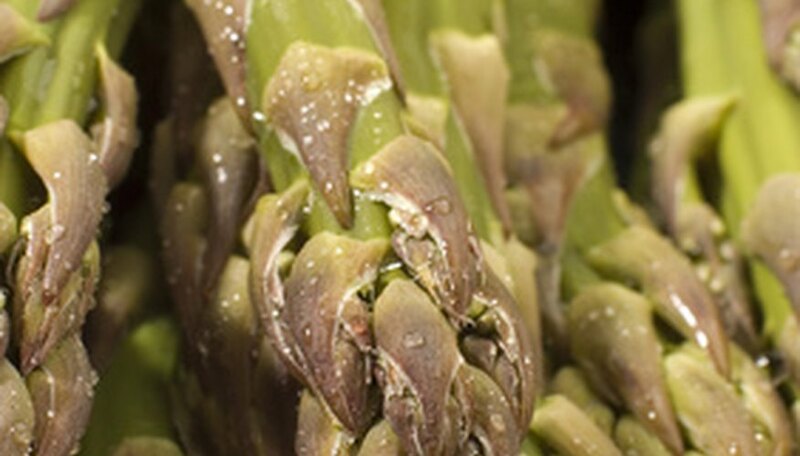 Water the asparagus plan when the top inch of soil is dry, allowing the water to drip slowly and deeply into the soil. Depending upon the weather, you may need to water twice a week. Allow the asparagus plant to go to fern the first year. It's tempting to pick the spears at this stage, but it's best to harvest after the second year. Do not cut the tops of the ferns back in the winter. Asparagus is a perennial vegetable plant, grown from rhizomes that form peaks or "crowns." For best results, plant asparagus crowns as soon as possible in the spring. However, they may be stored for up to one month at 40 degrees with 80 to 90 percent humidity. Although a cold-hardy vegetable plant, asparagus spears can be damaged when exposed to temperatures below 33 degrees F. Cover them with a thick cardboard box to protect them overnight from frost. Damaged spears will rot and new spears take four to five days to replace them, according to Iowa State University horticulturists. Traditional row spacing for asparagus crowns is 9 to 12 inches apart in a 12- to 18-inch-wide trench. In a square foot garden, each 12-inch square can hold two asparagus crowns. Placing each crown 1 1/2 inches from a square's edge will separate them by 9 inches. Most gardeners plant asparagus in the form of 1-year-old "crowns" rather than growing from seed. Crowns can be purchased at nurseries, and should be planted as quickly as possible to keep them from drying out. Spring is the time to plant asparagus. Florida gardeners do not have to wait for the ground to thaw, as northern growers do, so you can plant asparagus in early March in many areas. As long as the soil is warm (50 degrees is about right) and dry enough to work with, it is safe to plant asparagus. Florida doesn't really have the right climate for asparagus. This plant is a perennial, and needs a cold dormancy period every winter to stimulate new growth. Because Florida does not have a cold enough season, asparagus produces spears throughout the year, but they tend to be small and spindly. You may be able to get a better crop in north Florida, but cultivating asparagus in south Florida can be a futile endeavor. 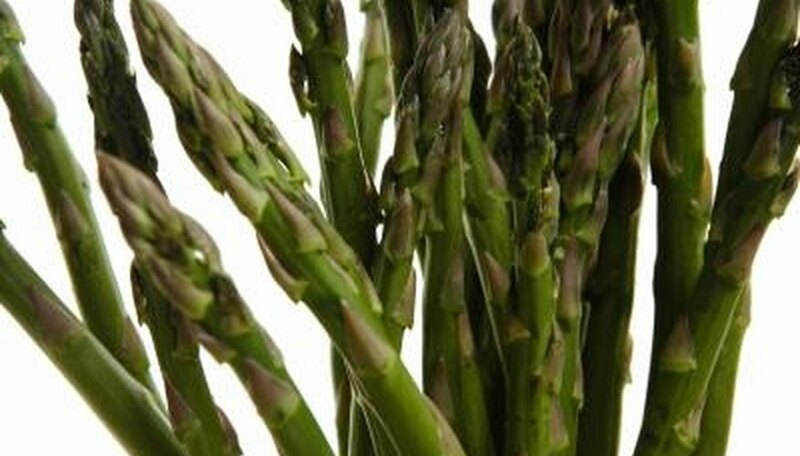 A single asparagus plant can be harvested when it has eight 8-inch spears on it. The spears should never be allowed to reach more than 9 inches in height. 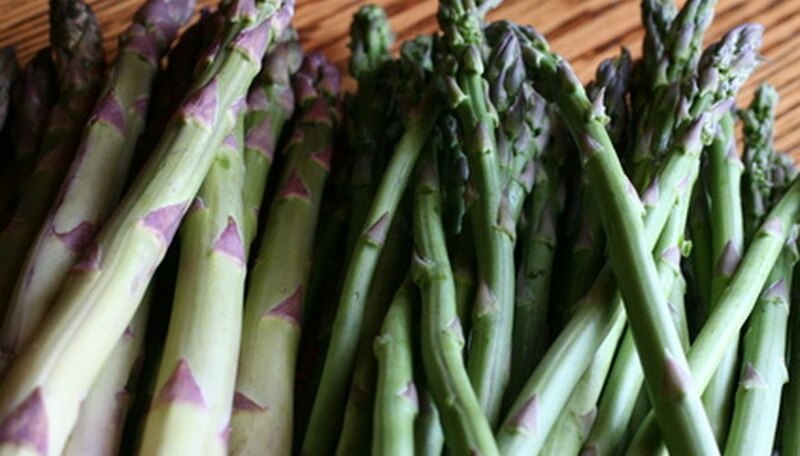 After harvesting, asparagus should be stored in a cool, shaded area and sprinkled frequently with water.